Our International Industrial Management degree programme is your factor for success. You’ll gain management skills as well as relevant technological and IT know-how which you can apply directly in your professional life. … that you’ll graduate with the academic degree of Diplomingenieur/Diplomingenieurin (DI) in four semesters? We ensure the degree programme covers all the subject areas you need and is organised so that you can maintain a healthy balance between family, work and studies. … that you’ll acquire the management knowledge needed in executive positions? You deepen your knowledge of key management skills in general management, supply chain engineering and smart production & services. … that you’ll be studying with the best? 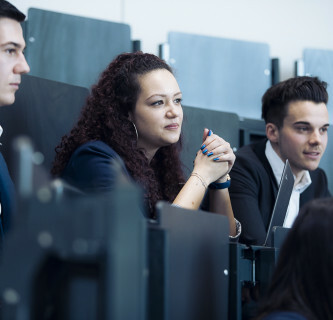 Renowned managers from industry and business have rated our degree programme as the best industrial engineering course at an Austrian university of applied sciences. … that you’ll undertake an industrial research project? During their second semester students lead a project team and investigate current challenges in national and international business practice in the form of an industrial project. … that we offer hands-on knowledge? Our lecturers enjoy many years of professional and leadership experience. Our students benefit from access to this know-how, and can apply what they have learned on the course in their later careers. … that excellent jobs are waiting for our industrial engineers? With your specialist technical knowledge and management expertise, you’ll be highly sought-after for management positions in industry. And you will also be qualified for positions which require both a technical and business understanding. … that we help you gain the necessary qualifications for the programme? We offer a range of introductory modules at the start of the course depending on your previous education. 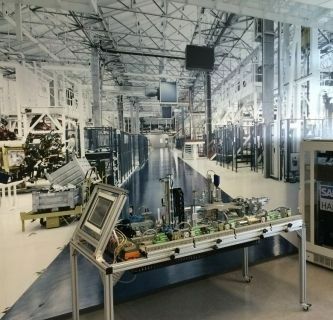 These modules allow applicants with an engineering degree to gain insight into industrial management, while students with an industrial management degree can fill their knowledge gaps in the field of engineering. A transitional semester with a focus on engineering subjects is available for applicants with a business management degree. … that we believe personal contact is important? The course and tutorials are held in small teams so that we can cater for our students’ individual needs. When I grow up, I want to be an entrepreneur!